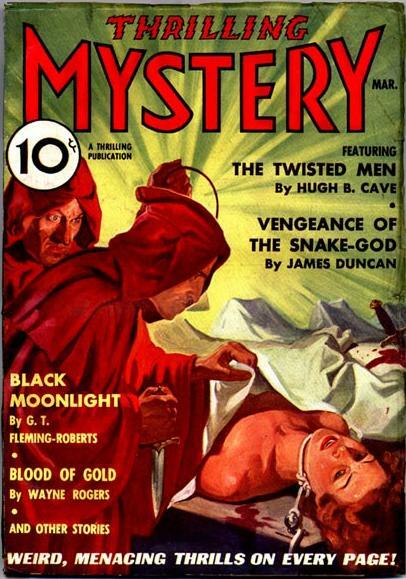 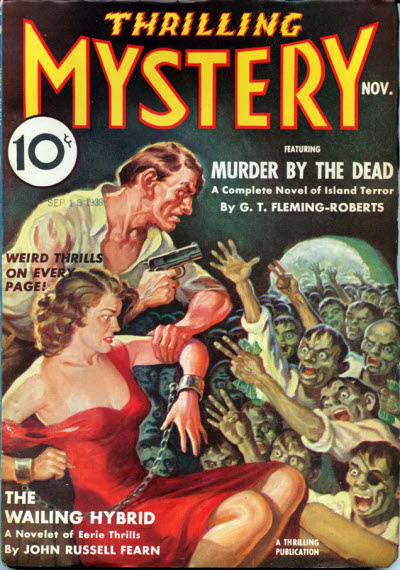 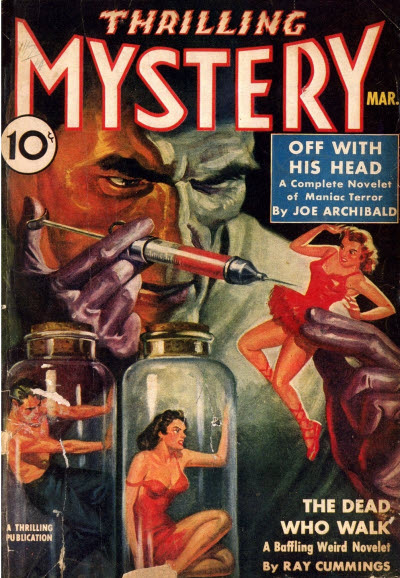 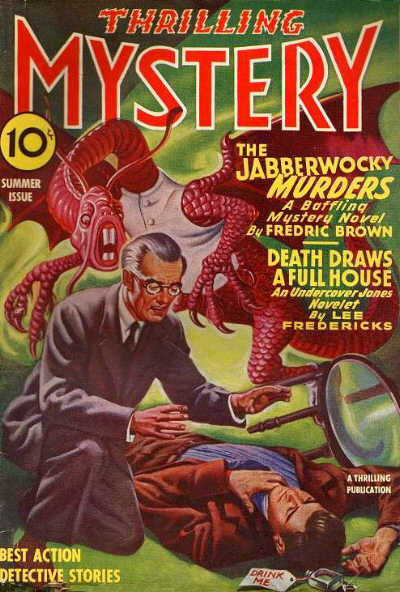 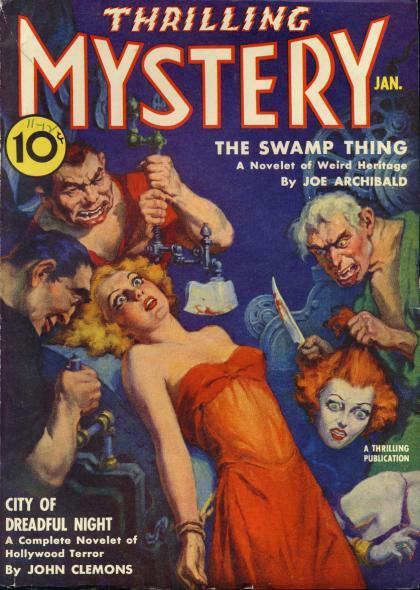 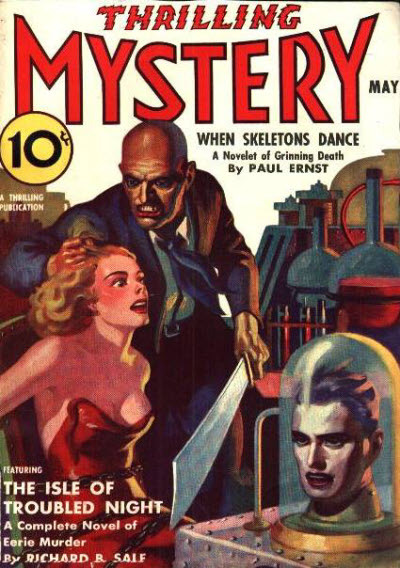 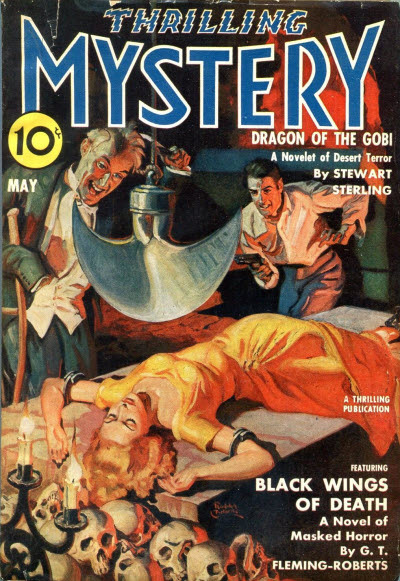 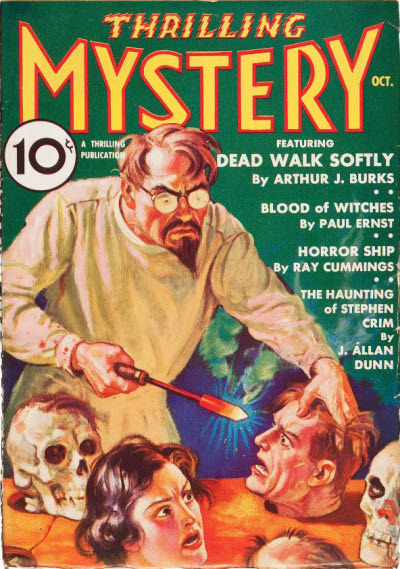 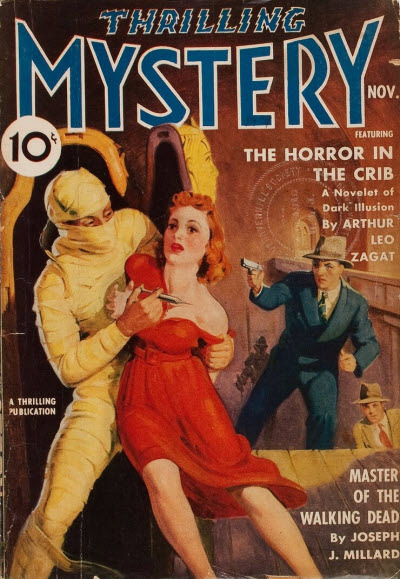 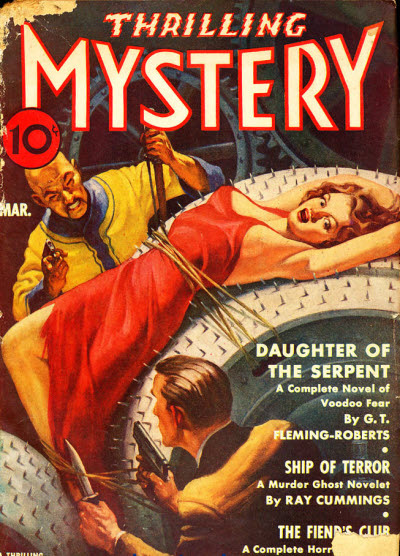 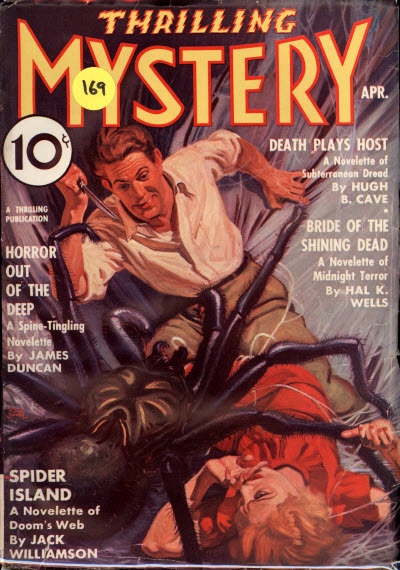 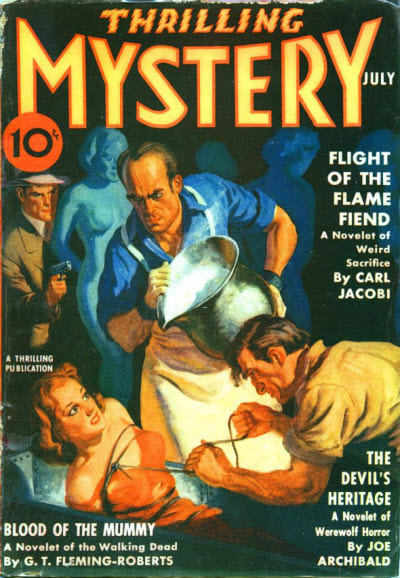 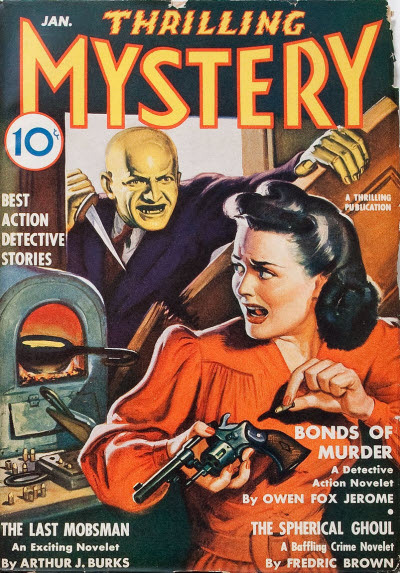 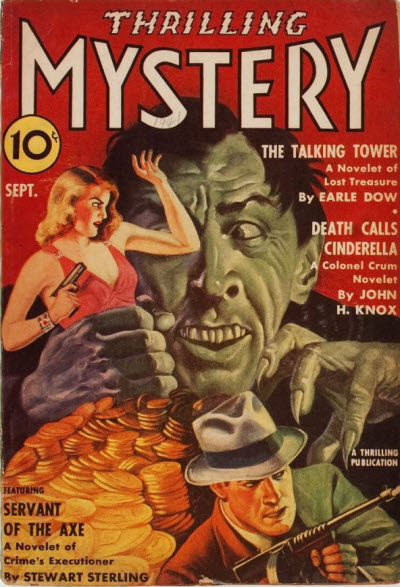 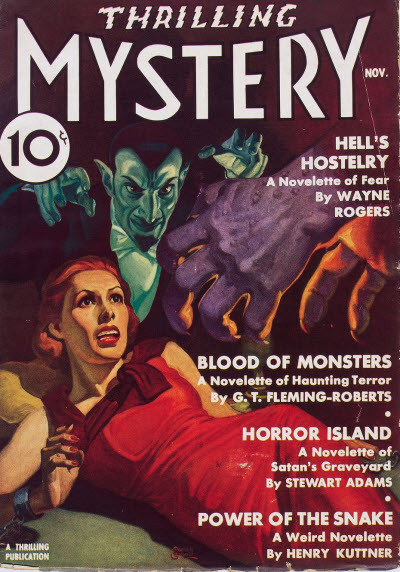 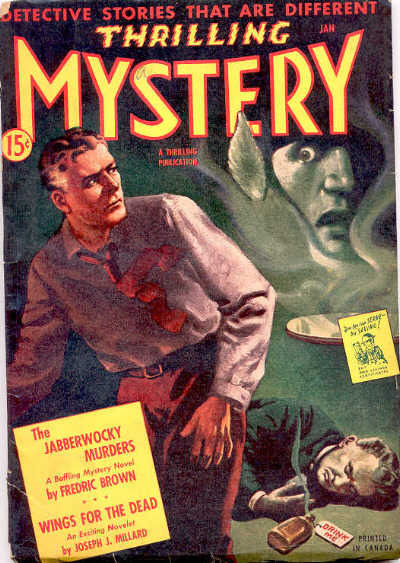 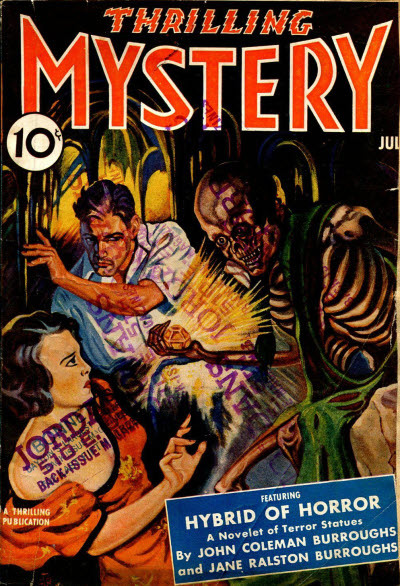 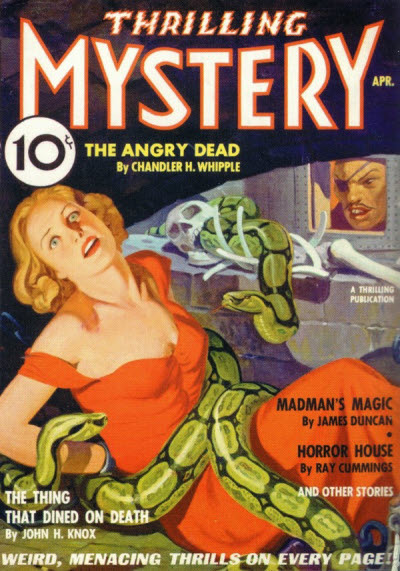 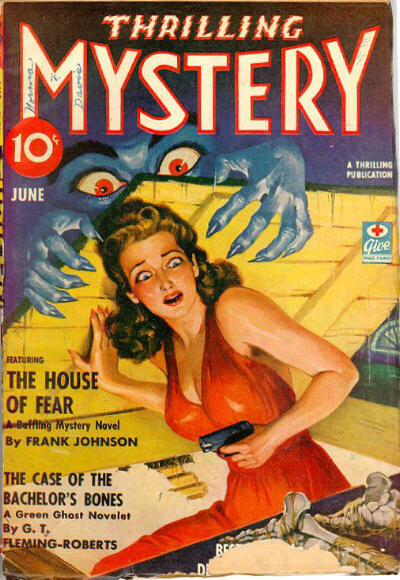 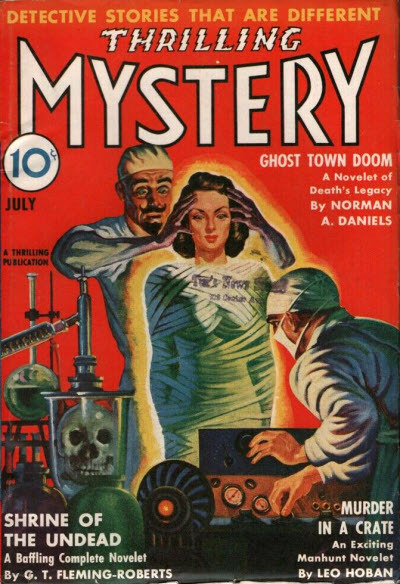 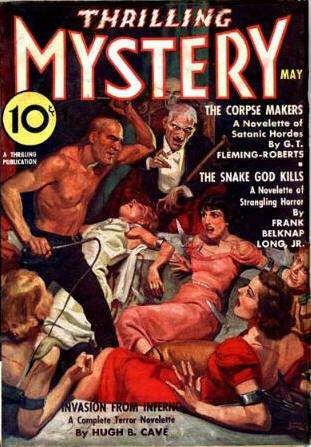 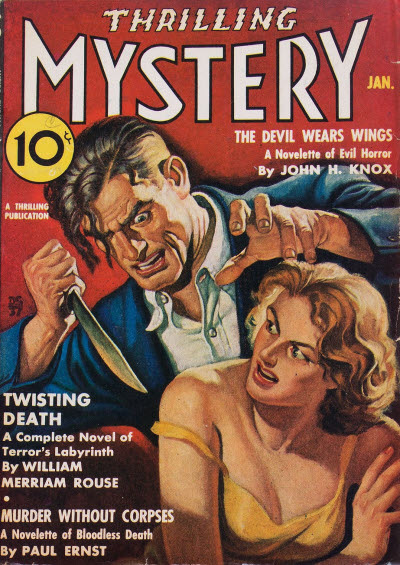 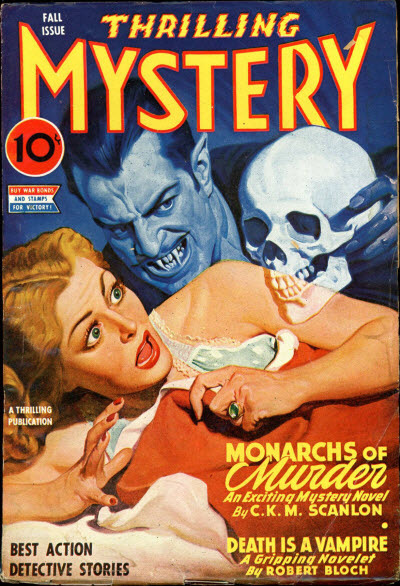 Thrilling Mystery started as a weird menace title in reaction to the success of titles like Dime Mystery Magazine and Terror Tales. 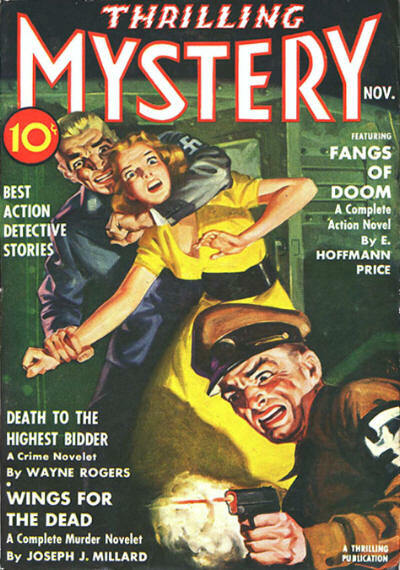 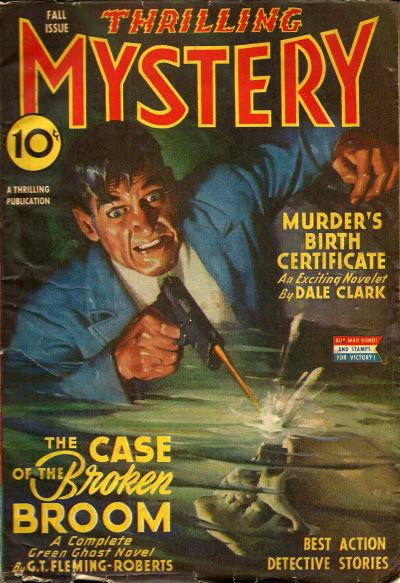 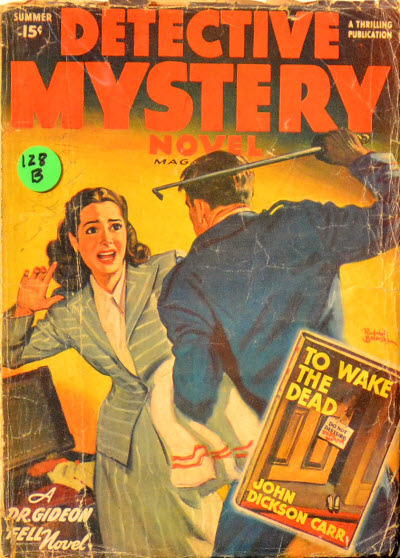 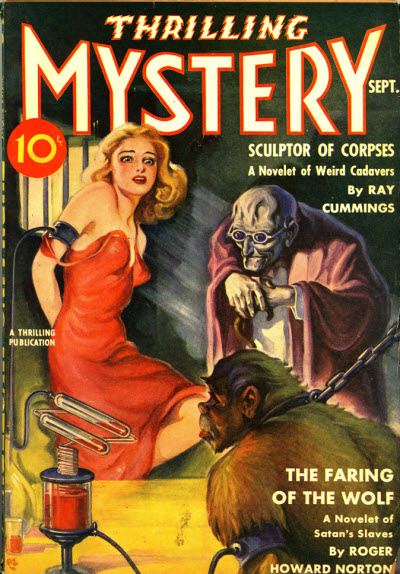 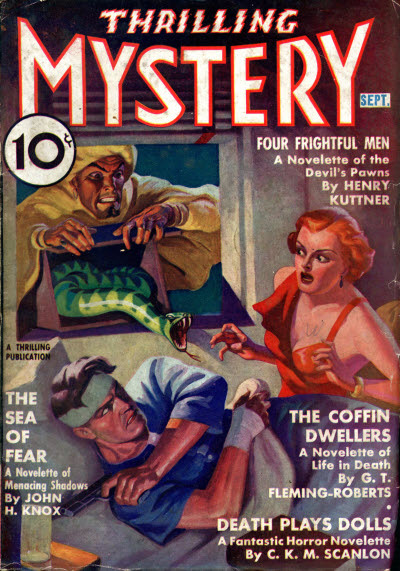 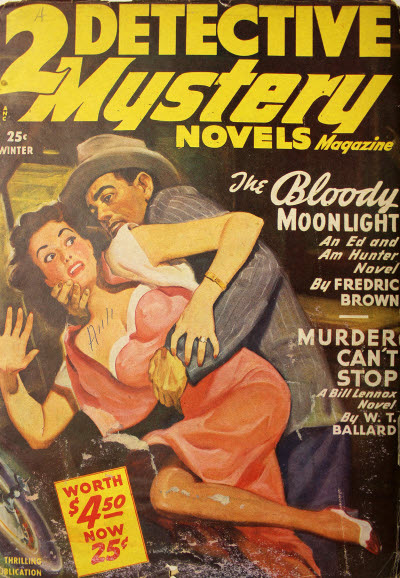 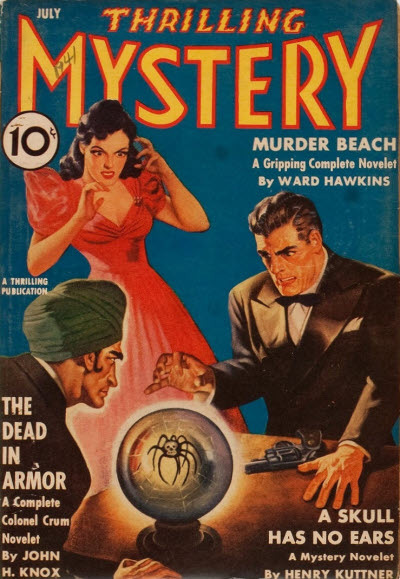 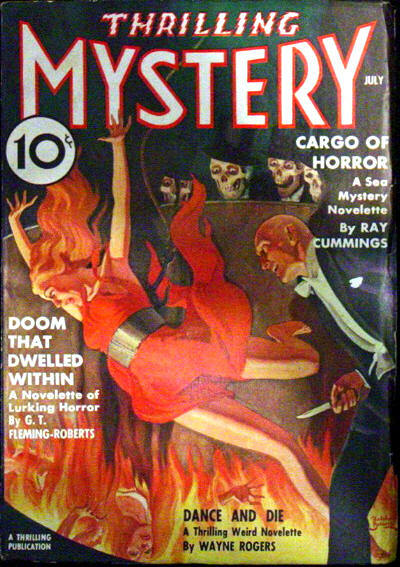 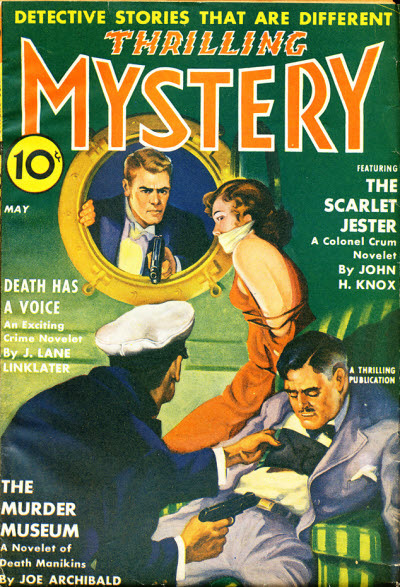 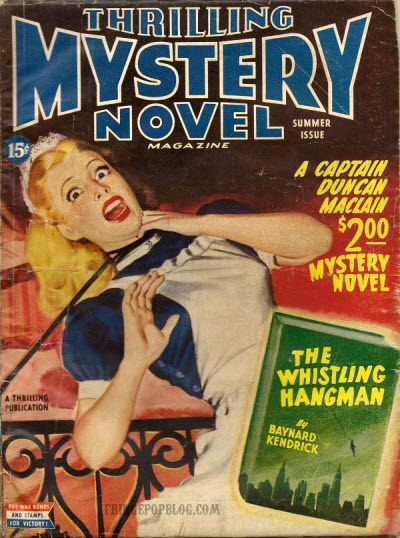 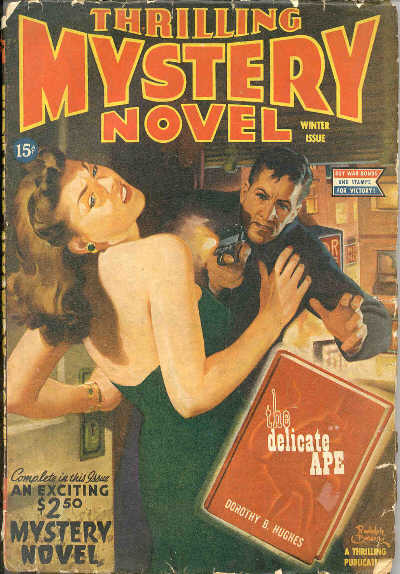 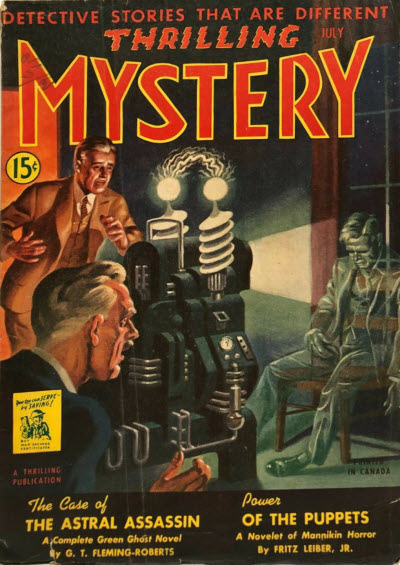 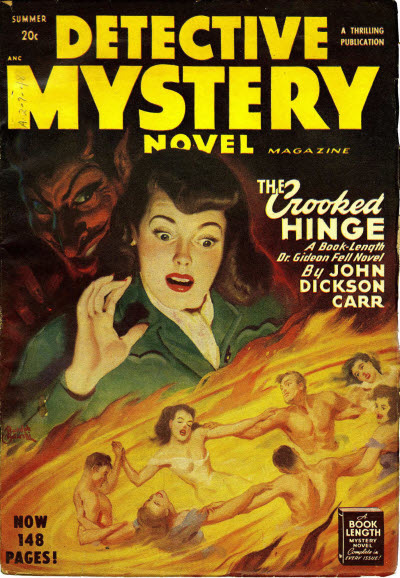 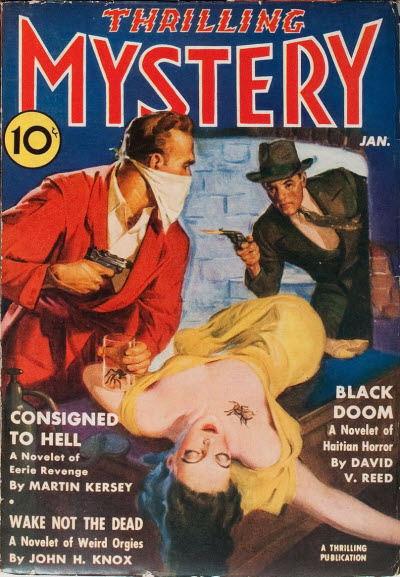 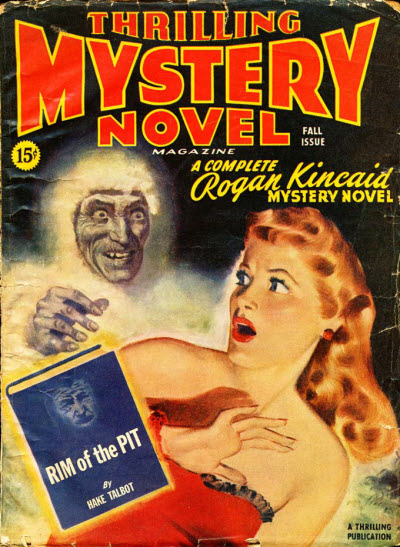 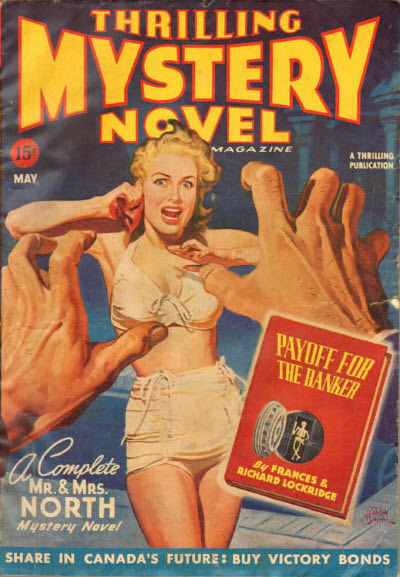 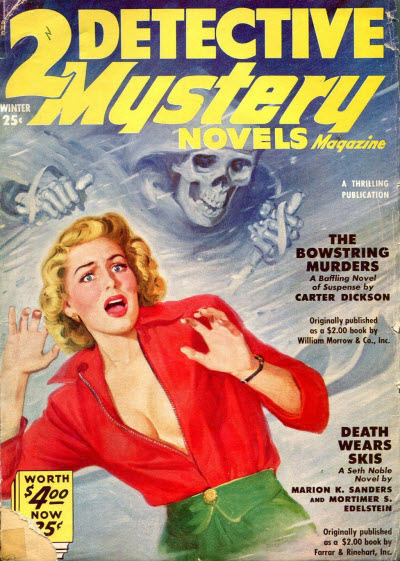 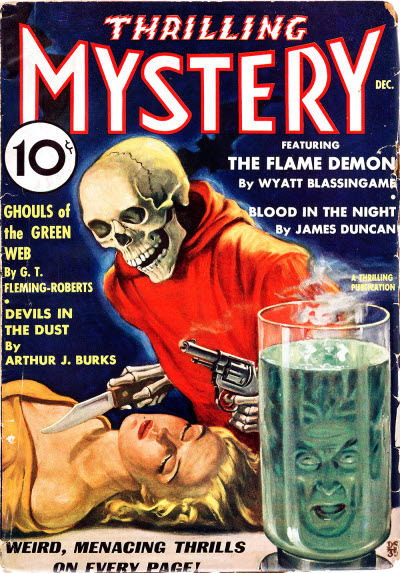 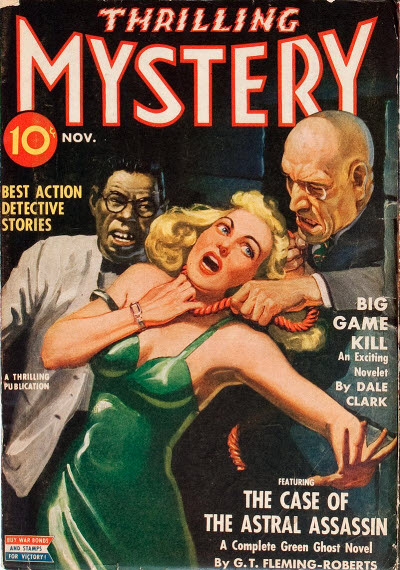 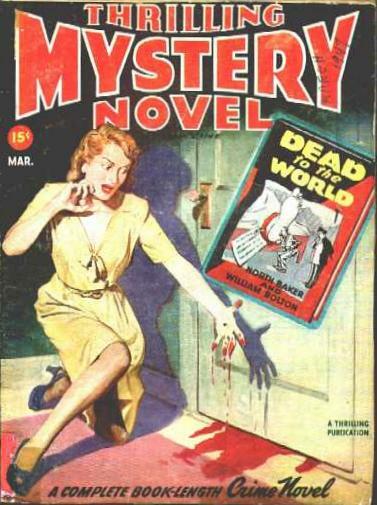 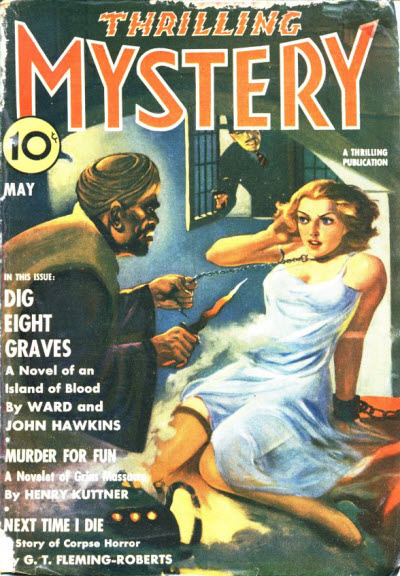 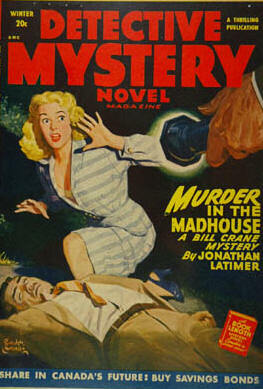 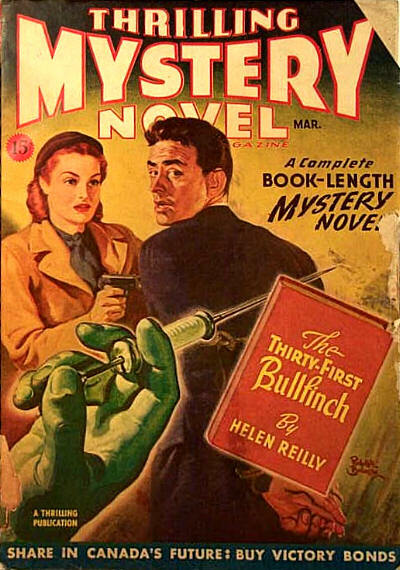 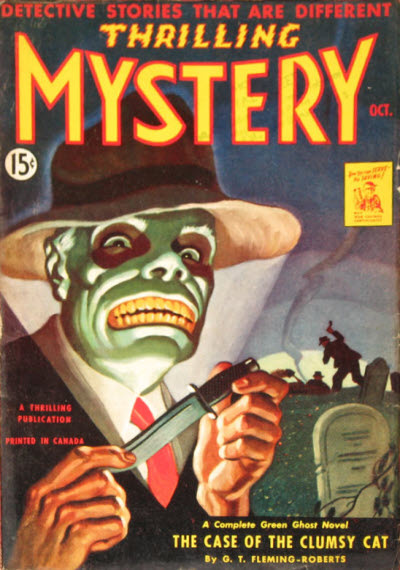 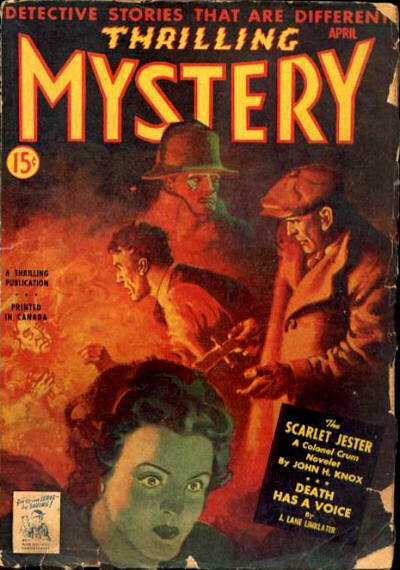 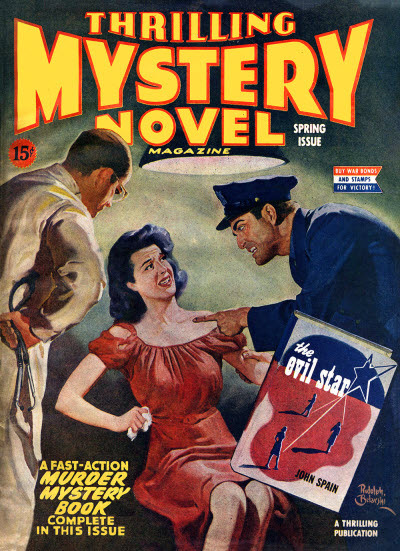 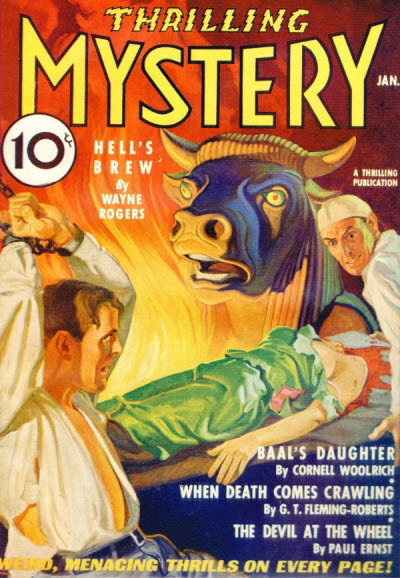 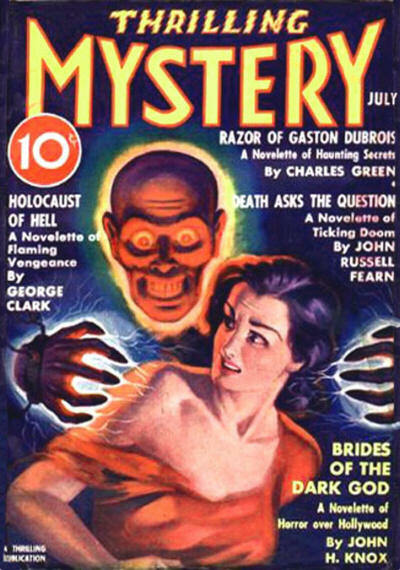 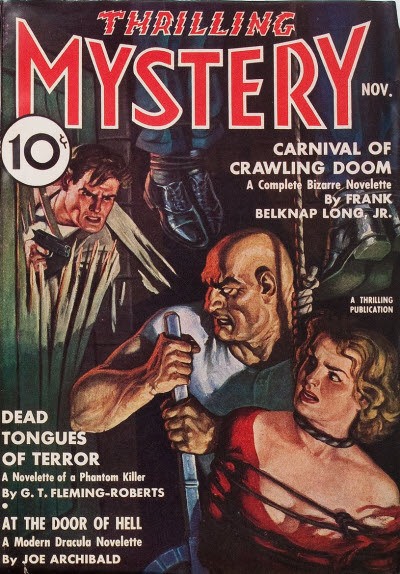 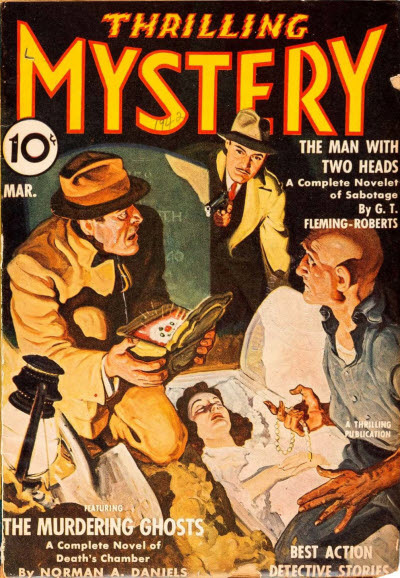 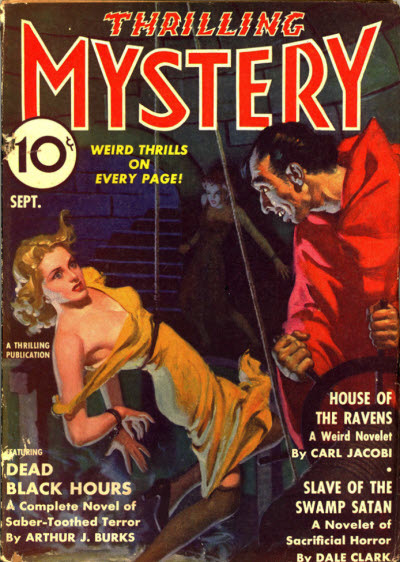 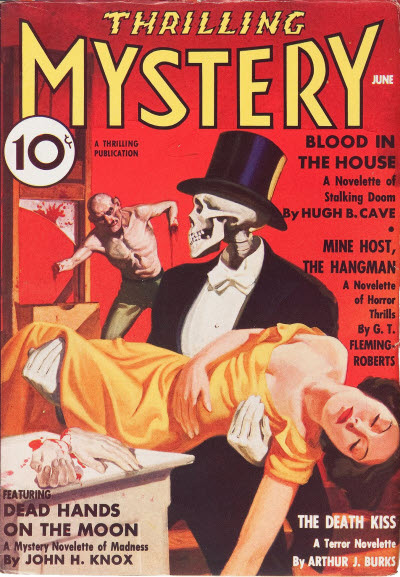 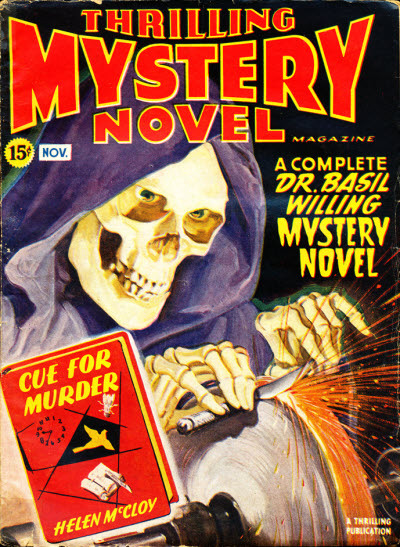 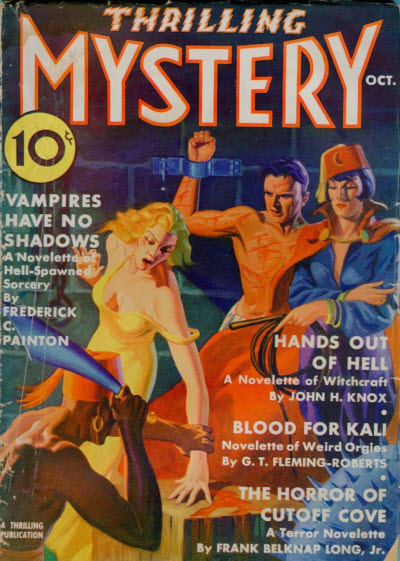 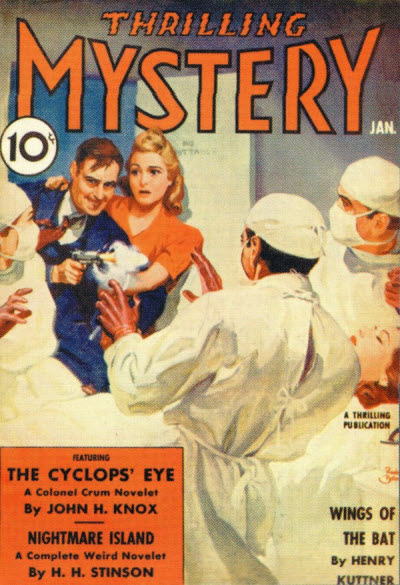 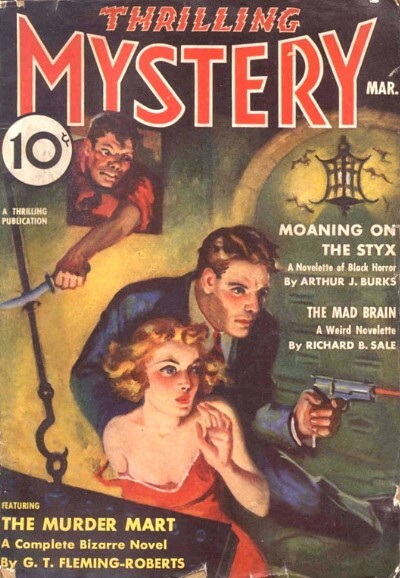 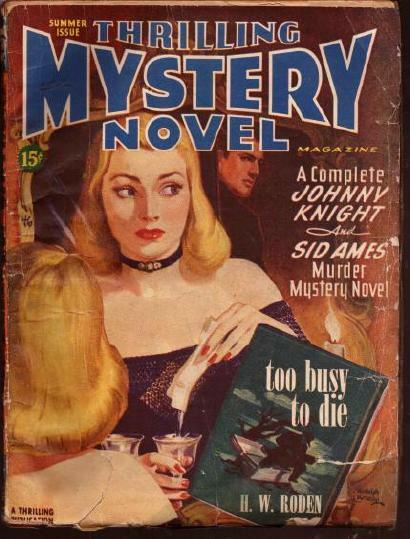 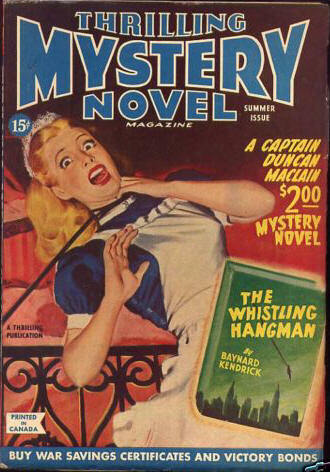 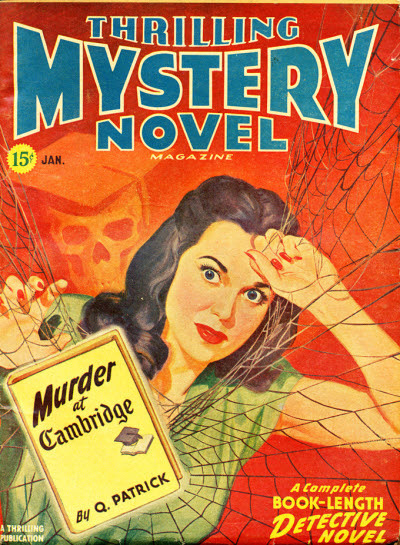 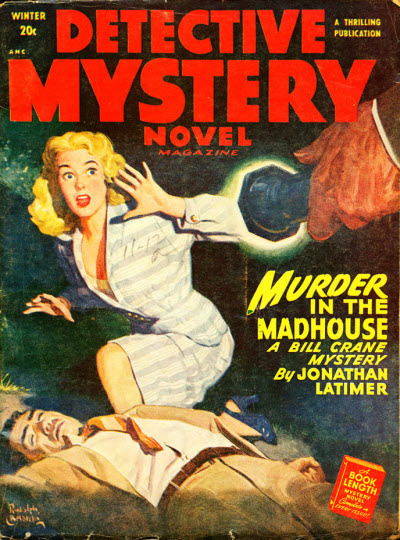 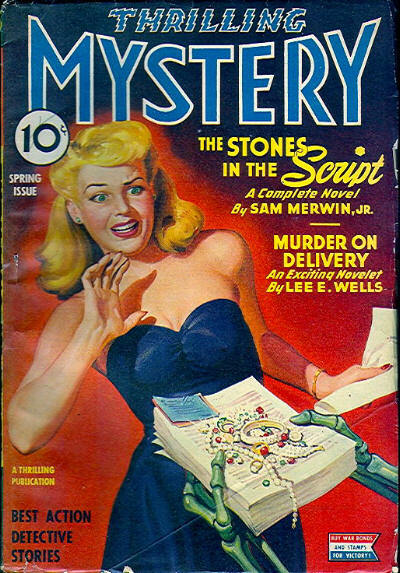 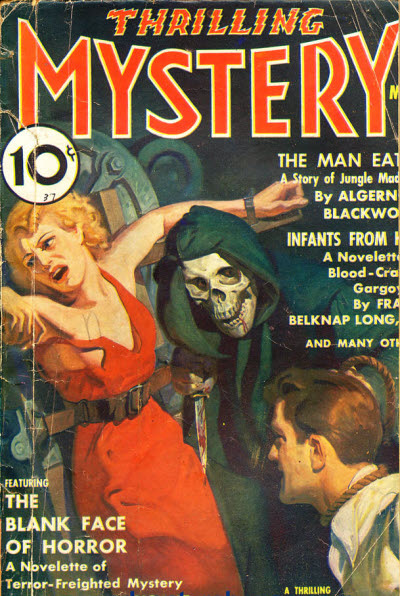 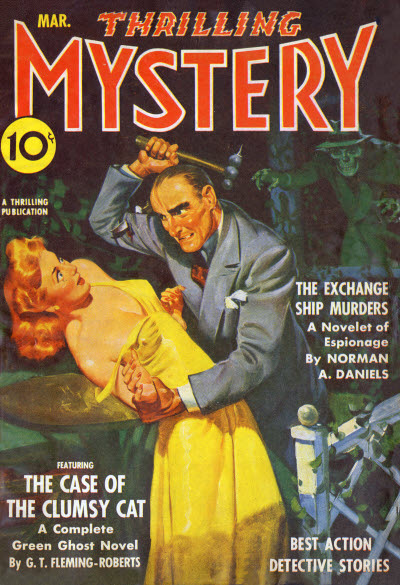 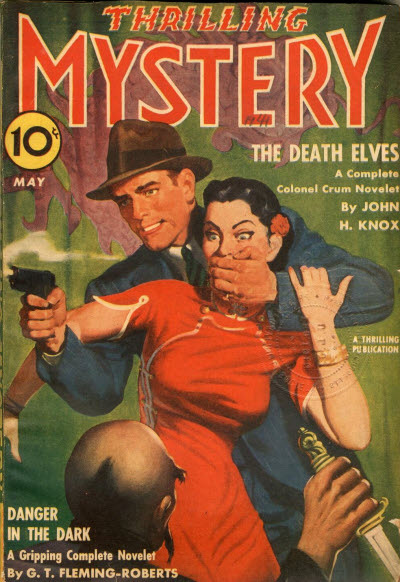 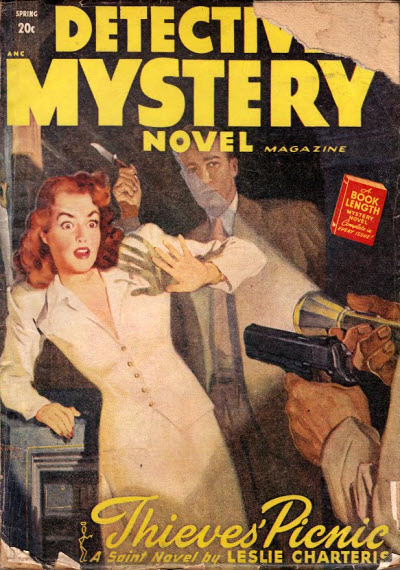 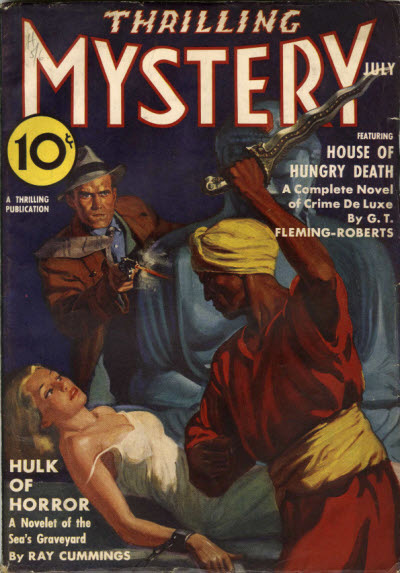 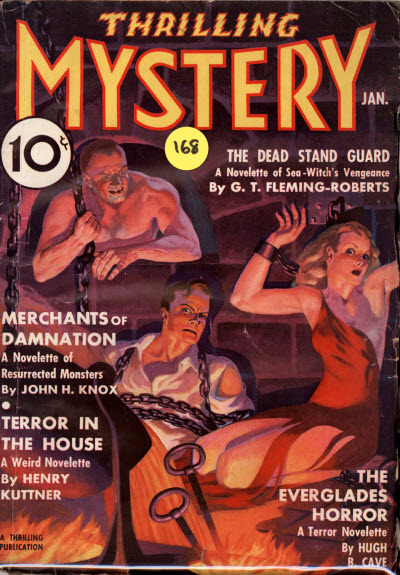 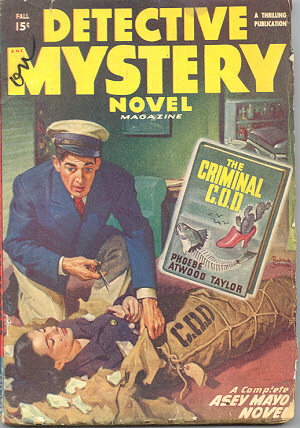 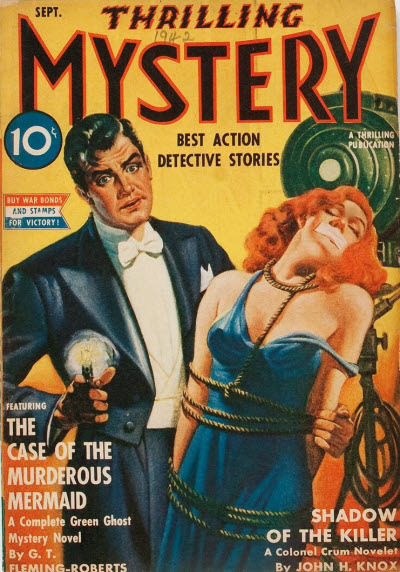 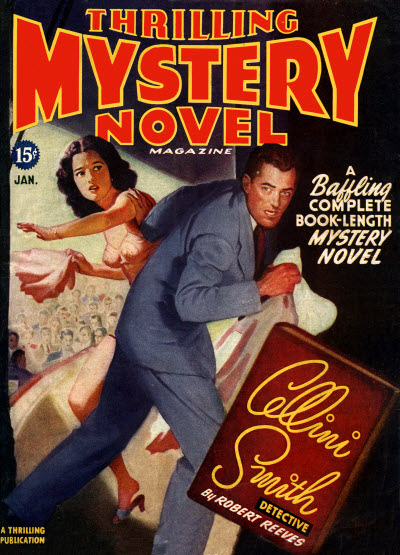 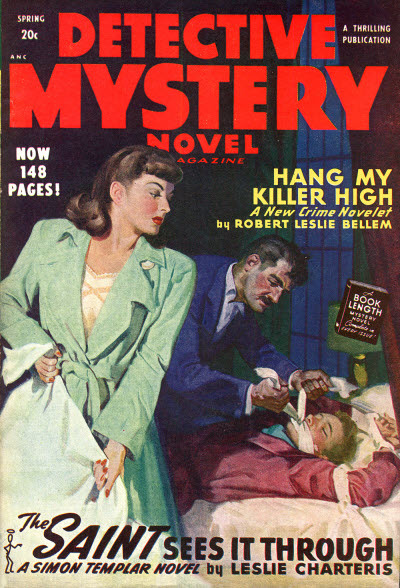 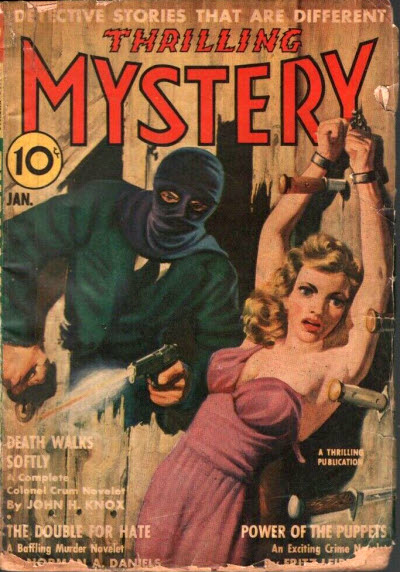 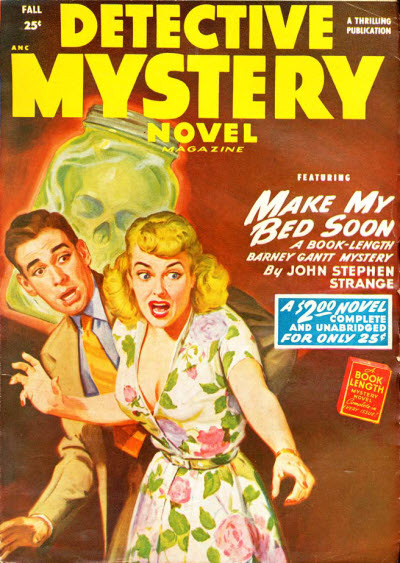 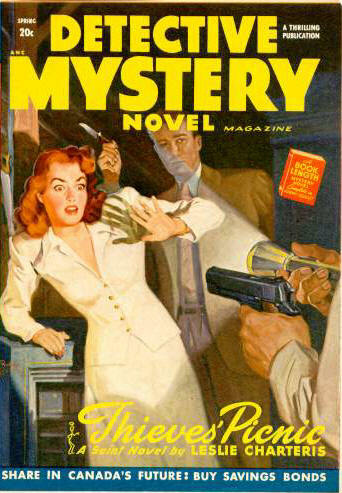 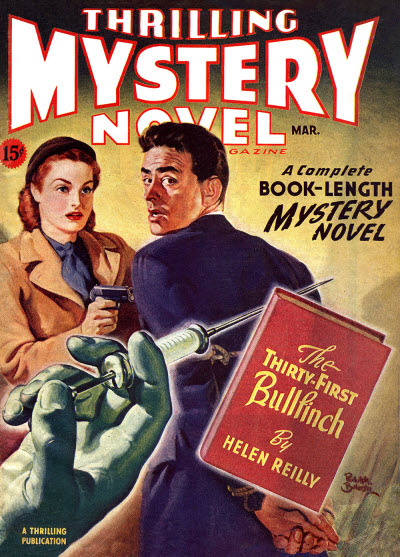 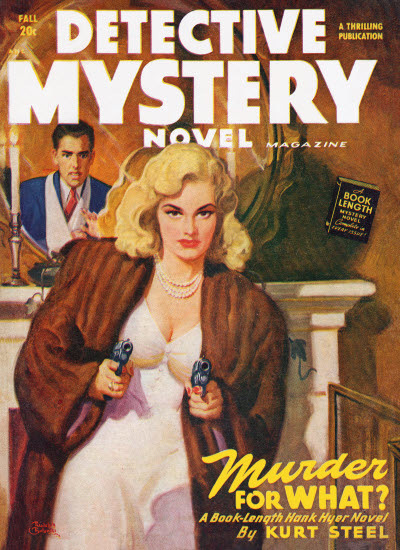 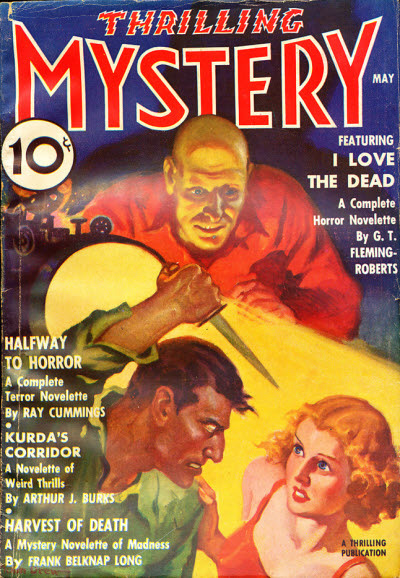 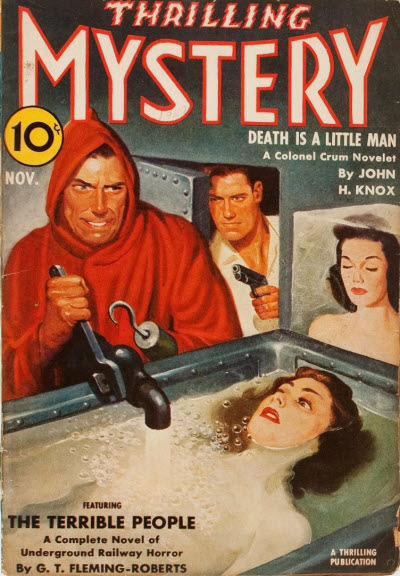 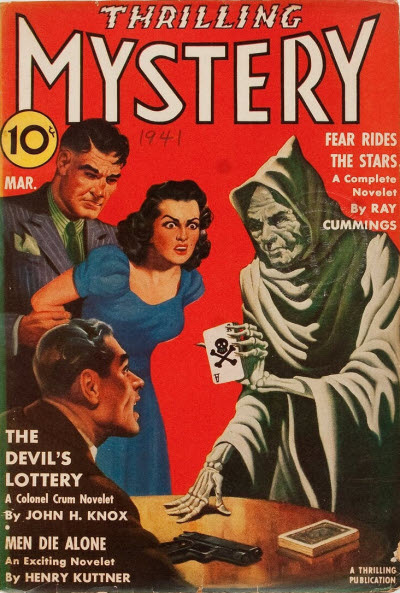 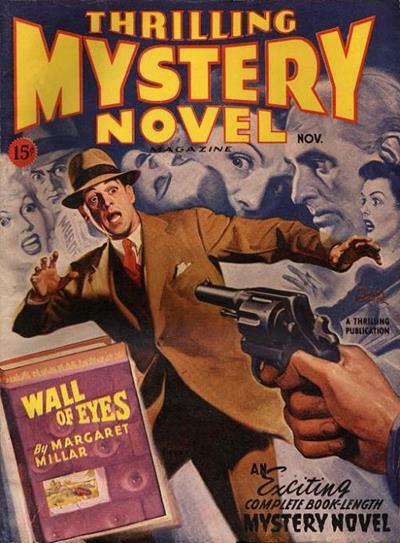 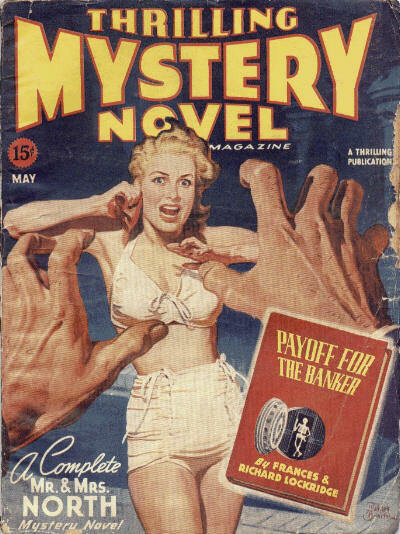 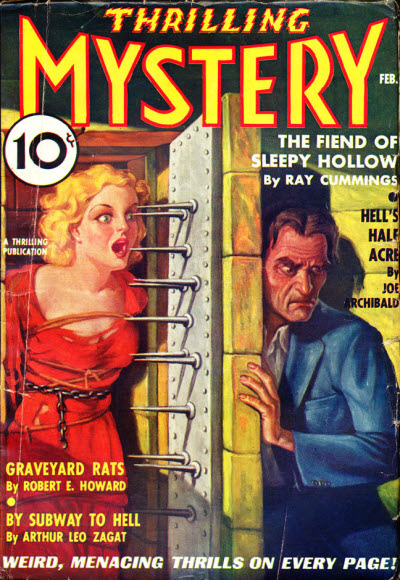 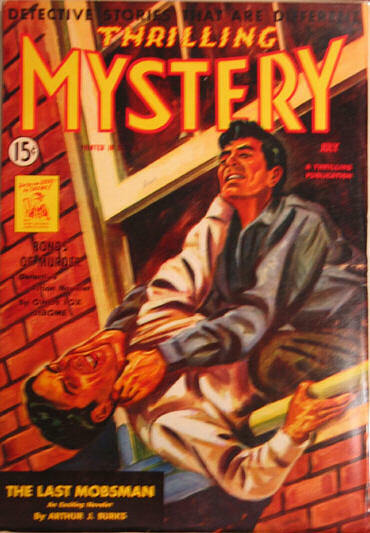 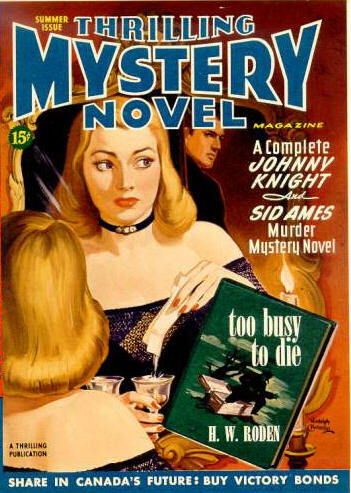 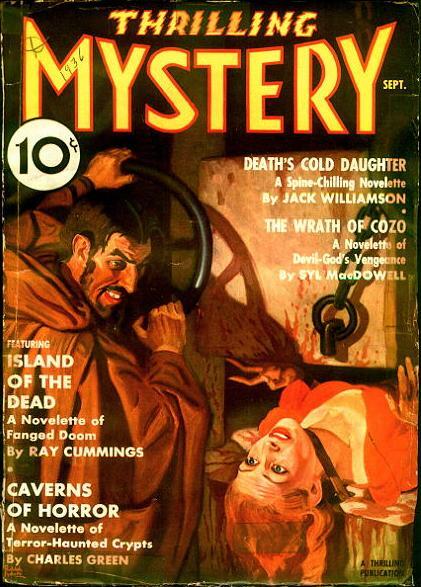 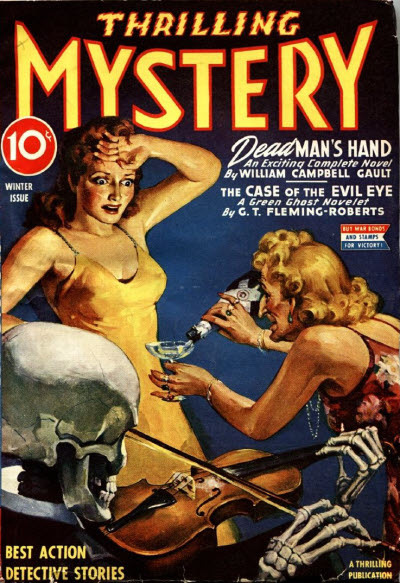 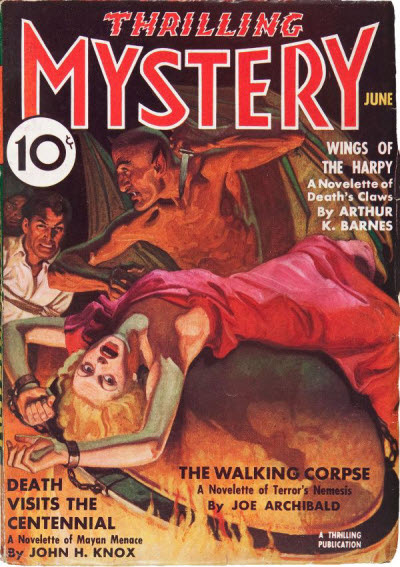 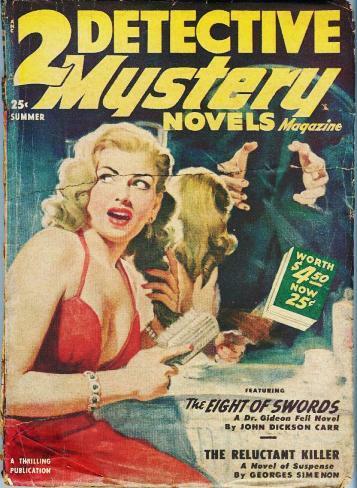 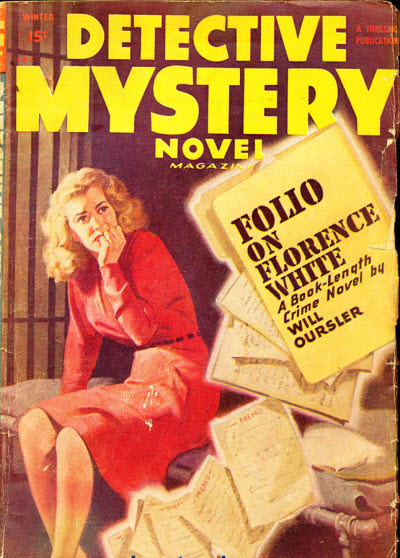 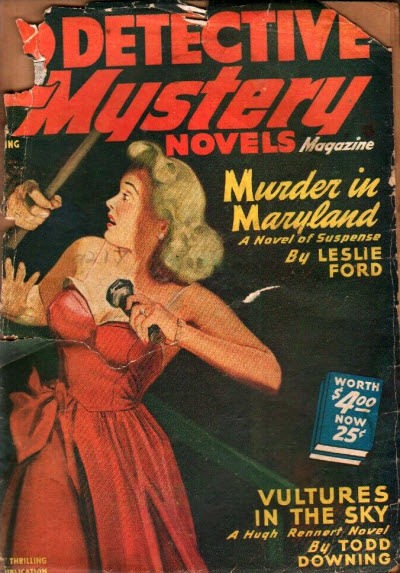 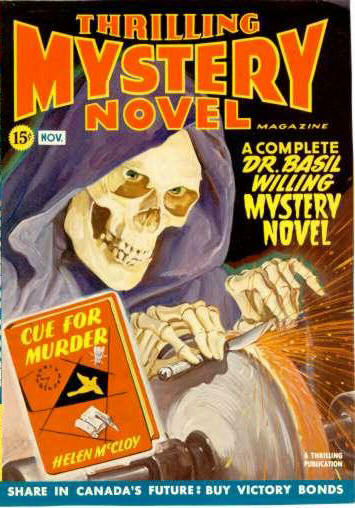 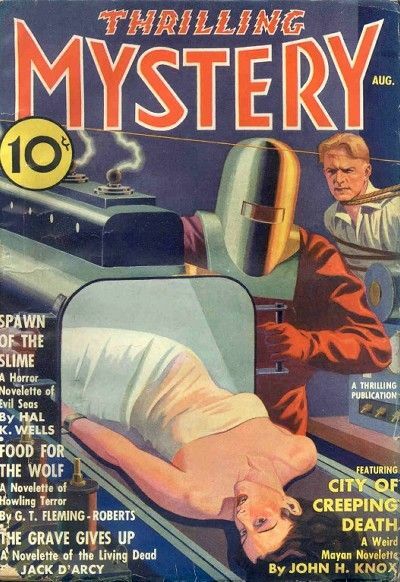 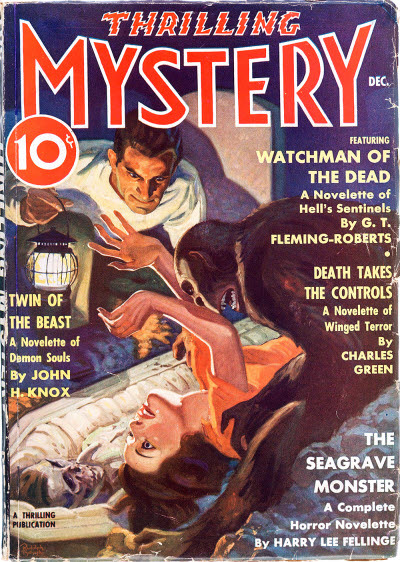 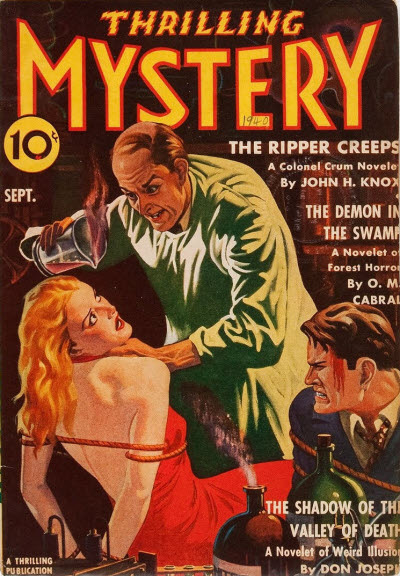 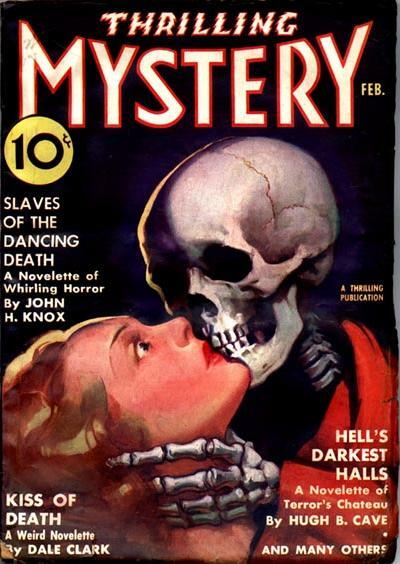 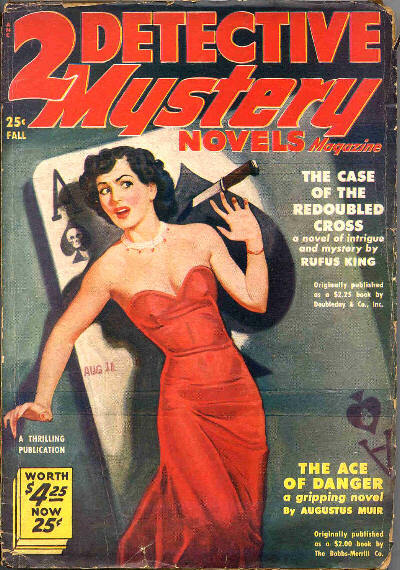 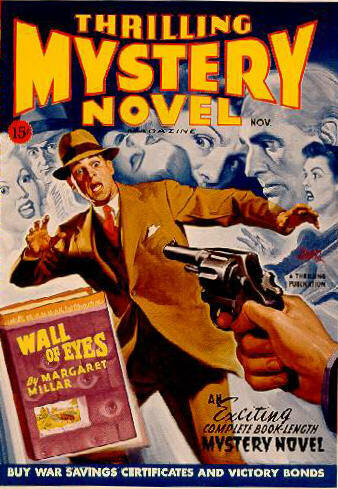 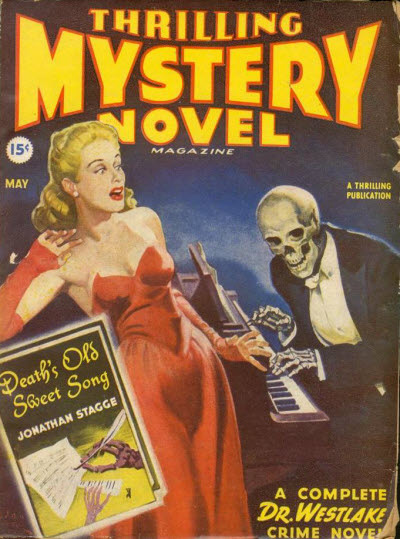 By the 1940s it had started a gradual shift to more conventional mysteries, changing its name in 1945 to Thrilling Mystery Novel Magazine, followed two years later by Detective Mystery Novel Magazine and two years after that by 2 Detective Mystery Novels Magazine, running for a total of 88 issues in all. 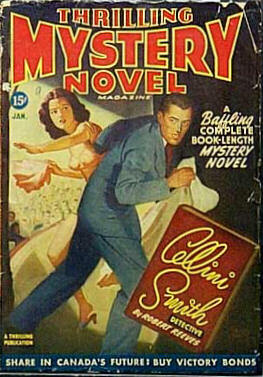 A Canadian reprint edition ran for a while in the 1940s.